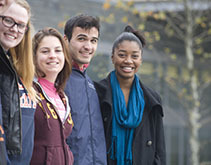 Salem State University is a proud participant in the Commonwealth Dual Enrollment Partnership. Salem State will focus our efforts to enroll qualified individuals with particular emphasis on potential first-generation college and low-income students. Students must be currently enrolled in a designated Massachusetts secondary school, residing home town or home school (public or private) in the following towns: Peabody, Everett, Malden, Chelsea, Winthrop, Revere, Lynn, Salem, Gloucester, Salisbury, Rockport and Haverhill. Eligible Massachusetts high school students are able to enroll in college courses and simultaneously earn high school and college credit. For more detailed information regarding this program, please visit the Massachusetts Department of Higher Education website. *Students who do not meet the above requirements may still enroll in Salem State University courses by registering and paying for costs on their own. 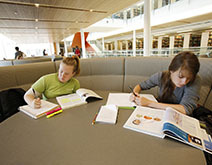 View a full listing of classes and tuition and fees. 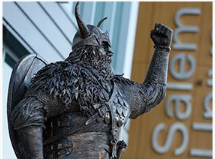 Students who are accepted in the dual enrollment program at Salem State will have their tuition and fees waived by the university for a maximum of one class per semester. Students will be responsible for textbooks, transportation and instructional materials. It will be the responsibility of the student to pay for any additional classes. An eligible course must be a 100 or 200 level, credit-bearing college-level course that counts for no less than three credit hours. The Department of Higher Education has also placed an emphasis on courses that are "easily transferable" and qualify under the MassTransfer Block, or is within the disciplines of computer science, technology or engineering. Certain courses such as remedial and physical activity courses are not allowed for participation in this program. 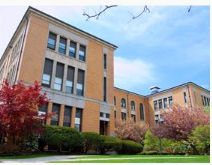 The disciplines included in the MassTransfer block are behavioral and social sciences, humanities and fine arts, natural or physical science, English composition/writing, and mathematics/quantitative reasoning. More information about MassTransfer can be found at mass.edu/masstransfer. Each semester, interested and qualified students must meet with their guidance counselor/school official to obtain the proper documentation. Completed files will be reviewed by the student's guidance counselor and if accepted, forwarded, by the counselor, to Salem State for processing. Notification of a student's registration for classes will be sent to the student's home address, as listed on the dual enrollment registration form, and to the student's guidance counselor. Placement into the dual enrollment program, or into any specific courses, is not guaranteed. At the end of the semester, an official Salem State transcript will be sent directly to the guidance counselor for appropriate action. Completed and approved Salem State Dual Enrollment Application and Registration Form. All applications must be received by Salem State's dual enrollment coordinator one week prior to the first official class meeting of the course in which the student is attempting to register.